Nothing beats a refreshing shower. It’s a time to reflect, imagine, and practice your epic rendition of “When the Saints Go Marching In.” But before you hop in and make with the water, there are a few things you need to know about caring for wet hair. Are you making these common mistakes? Keep reading to find out! We’ve all done it at some point – the minute you step out of the shower, you grab a towel and vigorously rub your hair with it. You may think this is the best way to dry off, but it’s actually a harmful choice. 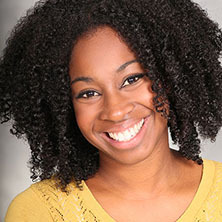 Hair is vulnerable and breaks more easily when it’s wet, and towels cause tangles and split ends. Hair turbans should be avoided, too (no matter how cute they may be). Believe it or not, it’s better to use a cotton cloth or shirt. We know wet hair is uncomfortable, but don’t grab the dryer when you’re fresh out of the shower and still dripping all over the place. You’ll have to keep the dryer running longer. Too much heat can only spell bad things. Don’t try to put styling products in your hair, either. They won’t stick! If time is the issue, start planning ahead. As tempting as it may be to pull your hair up into a tight ponytail while you go about your business, this isn’t the best move. Stretching wet hair out could cause breakage. If you want to keep hair out of your face, go for a loose ‘do. Looking to get hair extensions or braids? 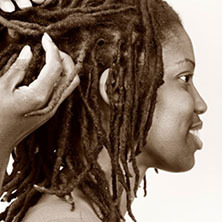 Talk to the friendly experts at SF/Bay Area African Hair Braiding by calling 415-378-4413. We’ve got your back!